Have you ever wondered what it takes to make a business successful? If I asked you this question a decade ago, then you will say it is an efficient workforce and intelligent management but now the times have changed and subsequently the answer. Business in today’s time will be successful only when it is flexible to embrace new technologies and efficient enough to leverage its benefits. Business process management(BPM) is a systematic strategy that helps businesses to create an effective and efficient workflow for their organization. It helps to adapt and withstand the ever-changing business environment quickly in a planned way. BPM helps to manage various business processes such as new hiring to automation of the repeated processes to taking care of the customers. Digital transformation is getting deeply ingrained into the business processes with AI leading the business technology bandwagon. Making AI a part of BPM is gaining a lot of traction for uncountable benefits that come with it. It helps businesses to automate their complex processes by developing a dynamic technology environment. Automation of the repeated tasks is one of the most common applications of AI. RPA also called as robotic process automation is a software that is empowered with machine learning and AI helps to handle a large volume of redundant processes that otherwise needed a dedicated human workforce. The one unique quality of AI is that it can be used to learn, observe, and analyze data sets that are collected from various channels. Businesses use these details to determine their plan of action. AI is capable of identifying patterns that the human eye cannot interpret. For example, analysis of the data patterns for any fraudulent activities related to online transactions or segmenting prospects based on their buying behavior for marketing purposes. BPM implementation is an intensive process that requires significant financial investment as well as time. RPA, on the other hand, is profitable and make use of the available resources. Thus, BPM ideas can be implemented with RPA techniques in a budget. There was a time when the primary driver for the adoption of AI in BPM was the cost, but now the focus has shifted towards improving the customer experience. AI-based BPM helps to get accurate insights into customer’s behavior and based on these inputs one can find the future consumption trends. Implementation of chatbots and other similar techniques are the most common example of AI backed customer service. It improves the customer experience and help to create a transparent platform of communication. The advancement in AI has introduced sophisticated machine learning algorithms such as the decision trees and neural networks. These algorithms help the managers, business owners to solve problems that they face when they are describing properties for specific datasets for getting the expected output. Also, AI-based decision-theoretic models can assist the managers to make decisions within a business process. For example, these models can help to decide whether a customer should be sent a product recommendation or needs a follow-up call. AI-embedded BPM solutions are assisting businesses to overcome performance blockades and improve their work efficiency and quality. AI is no more a technology that was intimidating and felt hard to adopt. 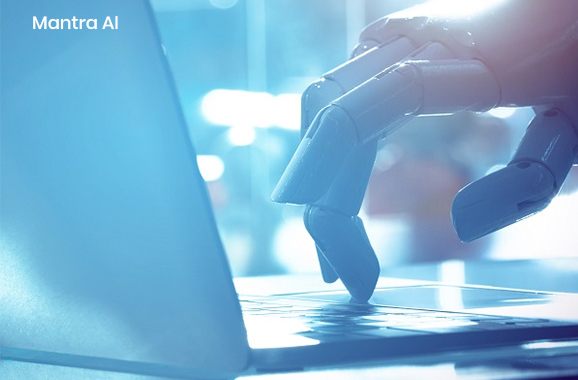 Small as well as large enterprises are gradually understanding the power of AI embedded BPM software for optimizing their business processes. With the passage of time, one can expect widespread adoption of AI for business process automation and will become even more accessible for all the businesses.